Established in 2011, this cider has done well to quickly establish itself in such a competitive market. This one is another of Pete's choices which he discovered last weekend at the Addison Road Farmer's Markets, held every Sunday in Marrickville in Sydney's Inner West. Bilpin is actually situated in the Blue Mountain's approximately 90 km west of Sydney, where the region's mountain elevation and fertile soil make it an ideal place to grow apples and other fruit. This one is fresh, crisp and deliciously refreshing. The aroma of apple is evident and the combination of Granny Smith & Pink Lady apple varieties have produced a flavoursome, easy to drink cider. It is a medium bodied cider with just the right amount of sweetness. In fact, this one has become Pete's favourite Australian Cider. Unlike many of the major commercial ciders, this one retains it's integrity by not using concentrates, sugar or artificial flavours. It's pure apple at it's best. When it comes to food pairing, Chef Luke Mangan and Kim Terakes have created two mouth watering recipes using Bilpin Apple Cider. To try Luke's 'Steamed Fillet of John Dory w/ Field Mushrooms, Smoked Bacon & Cider click here. Alternatively, you may prefer Kim's 'Prawns Cooked in Cider' recipe here. At 4.7% alcohol, a 330ml bottle will give you 1.2 standard drinks. 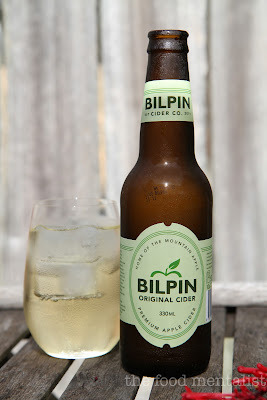 Bilpin Original Cider is widely available across Sydney and NSW if you know where to look. 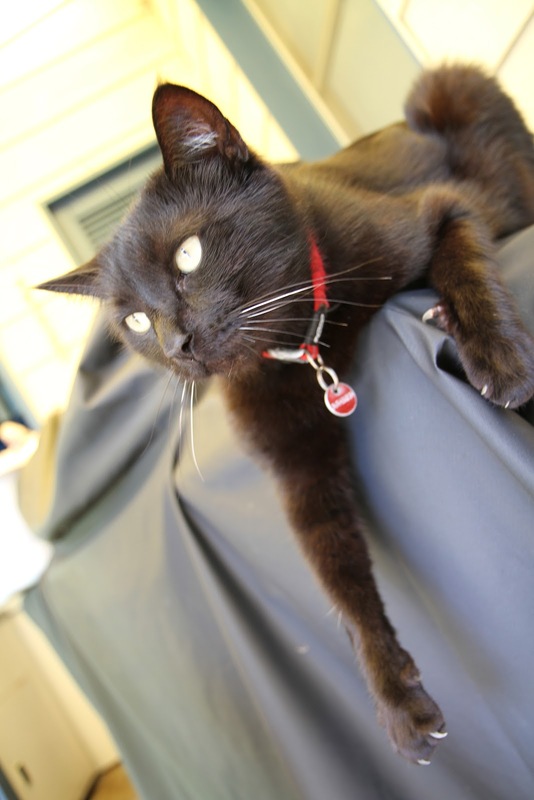 It is also available at many of Sydney's restaurants including Hugo's, Bills and Kingsley's Woolloomoloo. If you are visiting Sydney's Inner West on a Sunday, call into the Addison Rd Farmers Markets and check out Bilpin Original Cider. It's a real treat. Max loves Sunday's - Chilling out on top of the BBQ. Tell me, how do you like to chill out on a Sunday? my hubby loves this one. i'll check out Lukes recipe, thanks. Jamie, did you end up finding it? Lorraine, there is nothing better than crisp fresh sheets. Muppy, what did you think of Luke Mangan's recipe?